Course Description: Do you like music? Are you curious about how music informs cultural identity? Do you need to satisfy your Intermediate Writing requirement for General Education? If you said yes to any of these questions IRSH 391 is the course of your dreams! 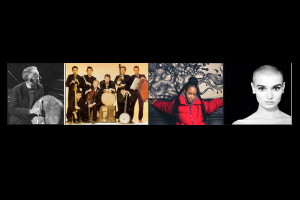 In IRSH 391 we will explore the concept of “Irishness” through generative works of music by artists such as Seán Ó Riada, The Wolf Tones, The Pogues, Sinéad O’Connor, U2, The Cranberries, Méav Ní Mhaolchatha, and Soulé (not an exhaustive list). We will examine traditional Irish music as a cultural form. Next, we will move through genres and decades charting political and cultural shifts as represented in folk, rebel, rock, punk, and pop music. We will explore concerns of authenticity and hybridity in Irish popular music and apply theoretical ways of understanding the reproduction and marketing of “Irishness” in a global context. Course Description: Continue with the Irish Language! 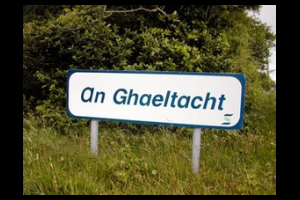 Course Description: Access to Irish Gaelic culture begins with the language: knowledge of the language provides an insight to the Irish Gaelic mindset and opens up the door to Irish Gaelic literature.